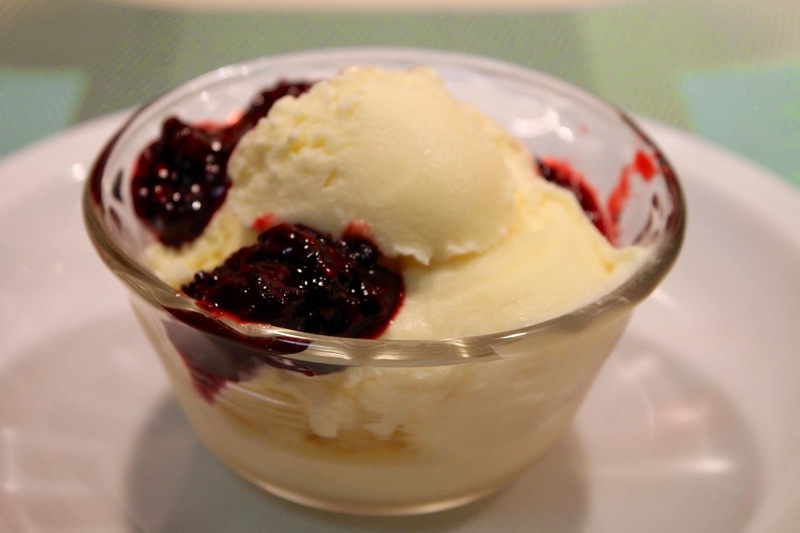 Sweet Corn Ice Cream with Blackberries, in honor of the New York Times Dining section's ice cream issue. New York Times: “The Only Ice Cream Recipe You’ll Ever Need,” by Melissa Clark. Summertime and ice cream are a classic pairing that always brings a smile. Today’s Dining section is an ode to the frozen staple that’s oh-so-good when the mercury climbs. Clark covers the fundamentals of making ice cream from a standard egg-yolk base recipe that’s ripe for flavor experimentation. She offers lots of flavor ideas in this recipe-infographic. New York Times: “You Say Soft, I Say Serve,” by Jennifer Steinhauer. Washington Post: “Daniel Boulud: On Fine Dining and Why he Left Washington,” by Tim Carman. Daniel Boulud is one of the country’s most renowned chefs, famous for New York’s Daniel as well as a mini-empire of other New York establishments. The news that he’s opening a version of DBGB in D.C. is quite exciting. Carman sat down with Boulud for this 90-minute interview, discovering in the process that Boulud almost established himself in D.C. instead of New York. I also enjoyed the companion piece about a recent dinner Boulud hosted for 35 of D.C.’s top chefs—the guest list really is a who’s who of D.C. chefs. Washington Post: “Weeknight Vegetarian: A Glut of Cucumbers, Cool as Ever, Makes for a 'Creamy' Soup,” by Joe Yonan. Been There Eaten That: “The Sensation Minibar,” by Lori Gardner. Ever wonder what it would taste like to enjoy a 26-course dinner featuring innovative modernist cuisine overseen by one of the country’s most famous (and definitely our city’s most famous) chefs? Gardner recently found out, having been treated to an evening at José Andrés’ Minibar. Reading about her night there is a delicious vicarious experience. Love & Lemons: “Feta & Harissa Fattoush Salad,” by Jeanine Donofrio. I love panzanella, but I’ve never made fattoush. I wasn’t really sure what it was actually until reading this post. Basically, it’s like Middle Eastern panzanella, which means it’s probably amazing and perfect for summertime. Wall Street Journal: “Forget Dinner. It's Always Snack Time in America,” by Mike Esterl. It’s not exactly news that Americans eat a lot of snacks, but what Esterl manages to make interesting about this story is how that has impacted the food industry. For those who argue that snacking is healthier than three-squares, this story reports the science is still out on that.